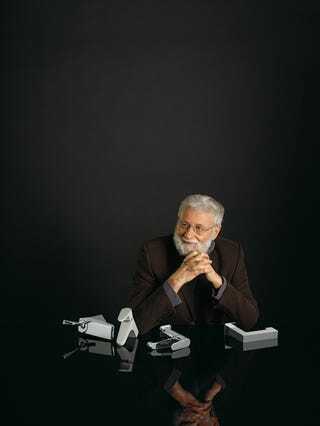 The folks at Dwell have tapped cognitive scientist and design consultant Don Norman to offer up his unique opinion on the design of several faucets—demonstrating that there are people out there that think way too hard about this stuff. "There are only two things you care about besides the appearance," he explains. "The amount of water coming out and the temperature." This seemingly simple balance between image and duty is one that Norman understands implicitly. As an engineer his priority is making sure things operate properly, but as a psychologist he argues that there's more to functionality than, well, functioning. "Emotions are really the most important part of life. Things have to work well, but they also should excite you."